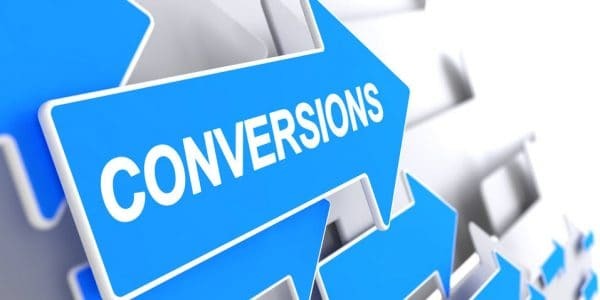 You can increase conversions on your website for a direct impact on sales and revenue. Consumer engagement is the easiest way to increase conversions, sales and boost revenue for local Denver based companies. Every time a person visits your website you have a very short amount of time to capture their attention. You’ve got to give them exactly what they want as soon as they hit your web page. This means you will need to have your local Denver landing page message aligned with your design and your overall user experience. While your message needs to be on point, you’ve got to take into account everything that your biggest competitors in Denver are doing as well, especially if you’re operating in a key local industry. If you make sure that you’re doing more than they are then you’re much more likely to capture the leads you need to increase conversions, sales and drive revenues. While you’ve undoubtedly heard me discuss in-depth keyword research and copywriting as two of the major keys to increasing conversions that the right Denver SEO consultant can bring to the table, there are a few other things that you could be looking at. Not all of these will apply to your business but they are nonetheless powerful ways to speak directly to your website visitors so that you have a much better chance of capturing that lead. Here are a few of the ways you can increase conversions like a boss. My best advice is to hire a Denver SEO consultant that can help guide you through this process as it can be tricky to navigate. If you’re trying to get a visitor to take an action then speak to them directly. Use a brightly colored a distinct button to communicate to them exactly what steps you would like them to take next. I’m sure you’ve seen our Denver SEO consulting call to action buttons on this site. Consumers want to know that you’re legit. Make sure you include links to or images of companies/people you’ve done business with in the past. Verifying that you’re running a legitimate business creates trust right out of the gate. If you’ve worked with popular local Denver companies that people might recognize then be sure to mention that in your copy. Is there an actual person behind your business? We’ve got a video on Denver SEO above because a video describing what you do or showing examples of your services/product is a great way to communicate immediate value to your prospective customer/client. Video optimization is something else you can add to your list if you’re ambitious. Video SEO can be powerful but you need to target SERPS that show videos. Tools like Ahrefs and SEMRUSH can help you understand which search results are most likely to have a video within said results as those are the search results you would want to target. You wouldn’t want to target a search result without a Youtube video displayed in it because it could very well be a waste of effort. And we all know that SEO efforts should not be wasted. People want to do business with other people that are local to the Denver area. Is the Denver SEO expert you’re looking at hiring a human? People do business with other people, it’s the preferred way. If you or someone in your company is the face of your brand it helps to humanize your content and your company so that the consumer can better connect and feel more in tune with what you provide. Put photos of yourself or the face of the brand on the website. This is something that’s simple to do and really helps you connect with the people visiting your website. This one is easy and your Denver SEO consultant should be able to help. You can setup one of the many free or paid chat tools out there on your website. This again humanizes your website and your company and helps you quickly respond to any questions and/or concerns a visitor to your website may voice. It’s a very personal and easy way to connect. When I say think above the fold what I’m really referring to is keeping your call to action above the fold on your landing page as this will be the key to your success. The visitor came to your website via a search phrase that you optimized your landing page for, like the term Denver SEO. Give them what they want in a precise and clear fashion. Just make sure it’s above the fold. Focus on writing clear and compelling content that directs the visitor to the action you want them to perform. Treat your visitors with respect and educate them rather than laying on the hype. While this wouldn’t necessarily be an optimal offering for a Denver SEO company because this has been talked about as something not to offer in SEO circles (and it’s not really applicable or ethical), it would be for a website that sells hard goods. If you can give the visitor some type of guarantee that their decision is in good faith then they’re much more likely to purchase. These are all things that you can do to help your website communicate more clearly to the visitor. The goal is to get them to take action while they are there. You want to educate them on the issues they’re seeking answers to as well as inform them of the possible solutions that you’re providing. The more clear and concise you can be in your messaging the better you are and the more likely you will be able to increase conversions on your site. Humanize your website and your business because it’s you that’s behind it. Put your face out there and let the people know how you can help them. For example, I can help you with your Denver SEO needs! If you don’t have these implemented on your website then it’s time to get started. The right Denver SEO consultant can help. You may be surprised just how many more leads you can generate with just a little effort.